Does not drain when not in use. Charges up to 500 times. 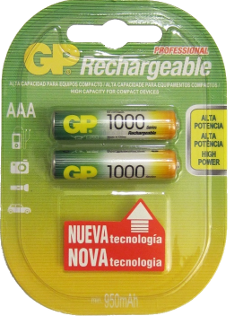 Rechargeable compared to the one use alkaline battery. 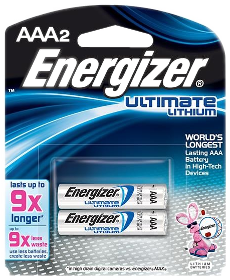 One use alkaline batteries initially cost less. The Lithium batteries will last a lot longer meaning less frequent purchases required. The rechargeable will give you a minimum of 500 charges. This is a huge savings per calculator. You are paying 19 times or more for one use alkaline batteries. By using NiMH rechargeables, you are reducing your landfill by 500 fold. It takes approximately 500 alkaline sets for each NiMH set.